The ASU-85 is a Rank IV Russian tank destroyer with a battle rating of 6.3 (AB/RB/SB). It was introduced in Update 1.59 "Flaming Arrows". It's low profile and extremely potent gun makes it a wonderful contender at its BR range. However, the lack of armour makes it hard use this vehicle in open environments. Everything will become easier when the HEAT-FS shell with 300 mm penetration at any distance is unlocked. The ASU-85 has a rather unorthodox method of using it's smoke screen. Unlike most vehicles, which use smoke shells, singular canisters, or canister clusters, the ASU-85 uses two large drum like structures at the rear. When deployed, these will drop away, so it's relatively easy to tell from close range whether or not an ASU-85 has smoke or not, and how many it has. 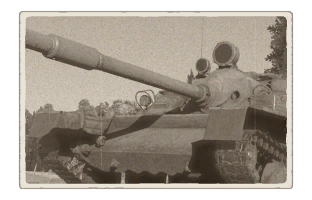 Be wary of the this method of deployment, as due to the orientation of the drums, the smoke screen will actually form behind the tank, and take about 2-3 seconds to fully envelope the assault gun. Suspension wheels are 10 mm thick, tracks are 15 mm thick. Ammo racks on the ASU-85. Sniper: This tank doesn't surpass other snipers in Rank IV, due to the lack of armour. Utilize all possible mechanics to aid in acquiring and ranging the targets, especially the binoculars and range finder modification. Ambush: Find somewhere in the map where most of the fight will happen, find a good view with nice covers at there. Or just sitting in some bushes near the flanking routes. Tiger II (P), (H), 105 mm: Shoot at the turret cheeks (only front weakspot). If the HEAT shell is available, shoot the HEAT straight into their hull. T29: Shoot the lower glacis if engaging it frontally. There are a few weak points in the front turret as well, look for them. Caernavron: Fire at the turret ring and lower glacis. A39 Tortoise: Aim towards the machine gun port on the left side, there will be a weak point present. T95: Aim towards one of the two commander cupolas on the roof. Try to aim at its side so that the penetrating shell can detonate inside and severely damage the crew. Jagdtiger: A well-protected armoured beast. If caught in the front, try to engage it with HEAT shells, preferably at the lower glacis. M26E1: Though dangerous towards the ASU, its armour is similar to the M26 Pershing and could be easily taken out by a good shot on the front hull. Reverse speed somewhat slow, hard to make hasty retreats. A new assault gun was requested by the Armed Forces sometime before 1953. Due to the success of the ASU-57, they tasked the OKB-40 design bureau headed by Nikolaj Astrov to design the vehicle. The design, designated Object 573, was ready for tests in the latter half of 1953. Constant changes and improvement was made from the span of 1956 to 1957. The design used the chassis of the PT-76 amphibious light tank design, though it did not have the same amphibious feature and had a new engine propelling it. The armament was an 85 mm D-70 gun derived from the 85 mm D-48 anti-tank gun. The design could carry 45 rounds inside and could fire a variety of rounds up to 1 km away. Secondary armament for the vehicle was a GMT or PKT coaxial machine gun. 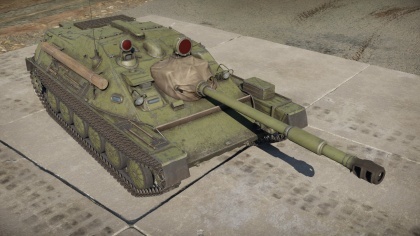 The improved design was going to accepted and enter production in 1958 as the SU-85 (despite the existence of a vehicle of the same name), but this was again delayed when the Ministry of Defense ordered an armoured roof to be installed. The design was to enter production in 1961, but by then the design was rather outdated for army forces usage. Thus, when the vehicle entered production, it was taken up by the VDV, the Soviet Airborne Forces, and renamed the ASU-85. The ASU-85 was produced from 1959 to 1966, while staying in service from 1959 all the way to 1993. The Soviet airborne forces primarily used the ASU-85 as a light infantry support/assault gun. Advancements in air-drop techniques and the advent of helicopters made its air deployment a more viable option in the early 1960s. The Soviet Union deployed 31 ASU-85s to each of its airborne divisions in and assault gun battalion. The Soviet Union used the ASU-85 during the Soviet-Afghan War with the airborne troops stationed there. The ASU-85 was only given out to Poland and Vietnam. Poland used the ASU-85s in the same manner as the Soviet Union, with 31 vehicles in each airborne divisions. The ASU-85 are still in service in the Vietnamese military, with interests on improving their technical performances in early 2016. The ASU-85 also serves as the genesis of other support vehicles using the derived PT-76 chassis. The most notable vehicle using a similar chassis was the ZSU-23-4 "Shilka" anti-aircraft system. 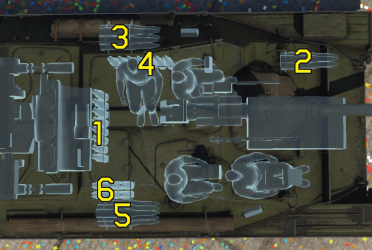 Skin and Camouflages for the ASU-85 in Warthunder Live. ↑ Fisher, Richard D., Jr. "DSA 2016: Vietnam May Update Soviet Era ASU-85s." IHS Jane's 360, 21 Apr. 2016. Web. 23 Sept. 2016. This page was last edited on 5 April 2019, at 00:47.